Hotel Interior Design is Changing – Here’s what you need to know. Our team at Selo has vast experience of working in the leisure and hospitality sector and we specialise in large scale and luxury hotels. 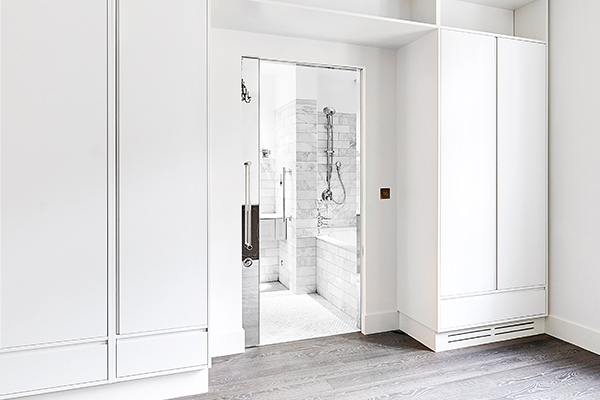 We’ve managed complex projects on some of the world’s most prestigious hotels from concept to completion, creating stunning interior finishes with our range of doorsets. We take a look at the trends we see around us and discuss what’s next in the hotel industry that we love! We’ve never been more connected to technology – from mobiles, laptops and smart home technology, we’re surrounded by exciting innovations in our always-on world. As a key part of hotel guest satisfaction, technology is high up the priority list. From business travellers to the discerning Millenial traveller, the very least guests will expect is a good wifi connection. But more than this, we’re seeing dedicated apps, virtual assistants, and smart technology developing at a rapid pace. In tech-savvy hotels, guests are able to control their environment from adjusting room temperature and lighting, to ordering room service via a personalised tablet. This in-room technology offers guests the ultimate in comfort and convenience which will keep guest coming back again and again. 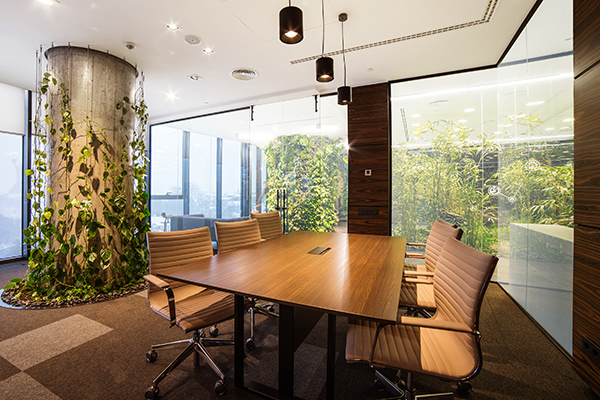 In contrast to the technology trend comes the increasing popularity of biophilic design. 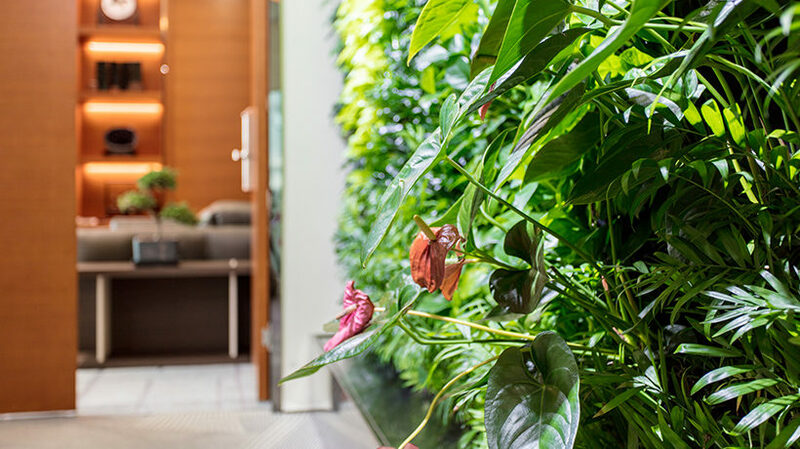 Biophilic design incorporates natural materials, natural light, vegetation, nature views and other experiences of the natural world into the modern built environment. There is significant evidence to support the theory that humans have an innate desire to be in nature, and by doing so, can positively affect happiness and wellbeing. With hotels seeking to provide enjoyable and relaxing stays, its no wonder that biophilic design is catching on in hotel design and that guests are loving this new trend. Clean and contemporary will never go out of style and the minimalist trend is still very much ‘in’ right now for hotels around the world. Think bright whites with bold accents, clean lines and no clutter in sight. This staple interior design trend is perfect for high-end luxury hotels, but will also work well in smaller hotel rooms where space is at a premium. Selo’s range of doorsets will often be specified in settings like this as their innovative design is a real space saver. For example, conventional swing doors will require a large amount of clearance space, not always available in hotel rooms, but Selo’s Enigma sliding pocket door system is different. The Enigma pocket door neatly forms its own cavity, requiring no additional clearance and provides a flush seamless finish making it the perfect solution for hotels. Let us know what trends you're seeing in hotel design, and we'd love to discuss your design challenges to help you find the best solution for your door systems.